You are here: Home / News / Client News / Are the points paying off? Are the points paying off? 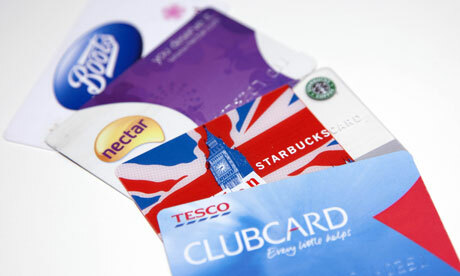 “Have you got a loyalty card” is a phrase I am hearing more and more these days. My purse is bursting with different rewards cards, and it seems that every shop I go in I somehow end up signing up to a new one. Like everything else, it was only a matter of time before this trend migrated to the online world, and this week Asos announced that it will be trialling a loyalty scheme on a proportion of its customer base. I won’t lie- I am somewhat of a sucker for a rewards programme. I have a Nectar card, a Tesco Clubcard, a Boots advantage card, a Waterstones card, and a Holland and Barrett rewards for life card. I collect air miles. I make sure I get my free chicken at Nando’s, and that my fifth manicure, my sixth coffee and my eighth smoothie are on the house (or store). The Asos Rewards programme will give buyers the chance to earn points every time they spend on the website. 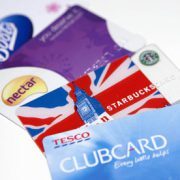 Customers will get 5 points for every £1 they spend, where each point is worth 1p. Each month, the points will be converted into a discount code that can be used on the website. As a twenty-something working just a stone’s throw away from Oxford street, my first reaction to this was- genius! Money back on buying clothes- this sounds too good to be true. But the more I thought about it, the more I thought that maybe loyalty schemes aren’t right for clothes shops, and that there must be a reason that until now, no other clothes shop has thought to set up a rewards scheme for its customers. Here is why, at first, I thought it was a brilliant idea. Number one, (and might I add the most important of all the reasons) I no longer have to feel guilty about the amount of clothes I buy (in the office I frequently get asked if that top/shirt/those jeans/shoes are new). Secondly, and this applies to all retailers- encouraging people to spend money in a recession and putting money back into the economy is good for everyone (another reason I use frequently to justify my expanding wardrobe). As an online-only store, being the first to set up a rewards programme is a key differentiator when there are so many competitors, especially when those on the high street offer online services as well. If I am going to get money back when I buy, I would be more inclined to make a purchase from Asos and just wait a couple of days for my new buy. But I soon started to have doubts about Asos’ rewards programme. Much like every other girl, I never have anything to wear. I also like to be on-trend and follow each season. But for this to pay off, I would need to spend a huge amount of my monthly salary at Asos. Spending £60 only works out to a £3 reward- so in order to get a decent reward I would need to spend at least 6 times this amount on clothes, a month!! This might be different if Asos didn’t covert the points into codes each month. Although my shopping habits show I like to spend my money, I do on the other hand like to save my points. I tend to save my Boots advantage points and treat myself to a nice bottle of perfume, and I build up my Nectar and Clubcard points so that I can get a free weekly food shop. The fact that I would only get £3 off a purchase isn’t really encouraging me to buy from Asos. For the sake of £3, I would rather head down to the high street and get my new buy there and then. The majority of other schemes offer coupons and discounts on frequent buys, and I think this would be a better take on the loyalty scheme notion for Asos. Getting £10 off the next time you buy Asos, or getting free delivery the next time you buy a brand, would be more of an incentive to stay loyal to the online fashion store than the measly £3 off code. Overall, I think the idea of a loyalty scheme for the clothes retailers is a good idea (it would be hard to find any girl that doesn’t agree with this). But I think it needs to different to the schemes we see with restaurants and FMCG. It will be interesting to see if Asos goes with the points scheme after its trial, or if any other clothes retailer trials out a loyalty scheme. But it seems for now, I will just have to find some other way to justify my spending. https://www.platformcomms.com/wp-content/uploads/Loyalty-cards-010.jpg 276 460 Platform Team /wp-content/uploads/platform-communications-logo-niagara.png Platform Team2014-03-27 09:48:012017-02-25 16:54:23Are the points paying off?